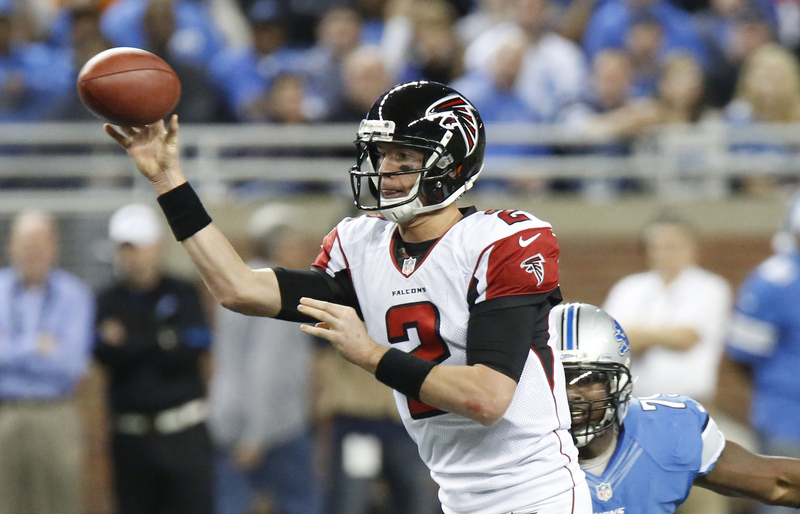 DETROIT The Atlanta Falcons have earned home-field advantage throughout the NFC playoffs. Matt Ryan matched a career high with four touchdown passes, two to Roddy White, and the Falcons led from start to finish in a 31-18 victory over the Detroit Lions on Saturday night. Detroit (4-11) dropped its seventh straight game. Lions receiver Calvin Johnson broke Jerry Rice's NFL single-season yards receiving mark of 1,848. He also became the first player with 100 yards receiving in eight straight games and the first with 10 receptions in four games in a row.